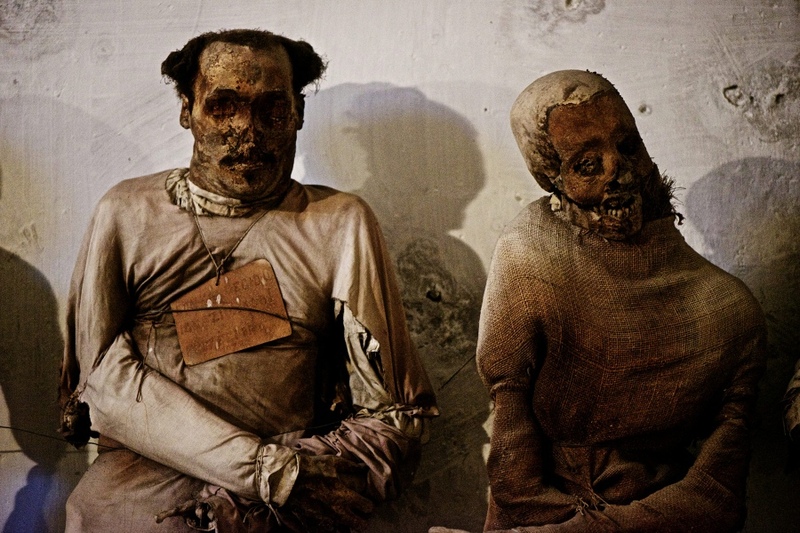 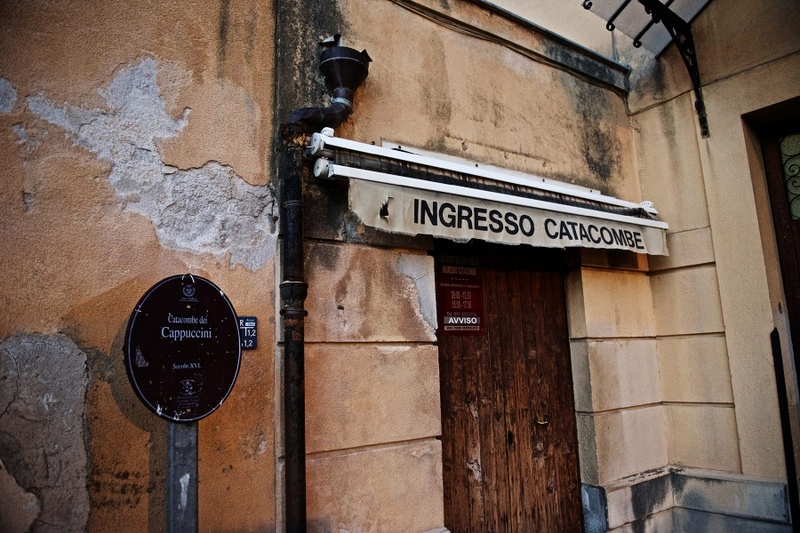 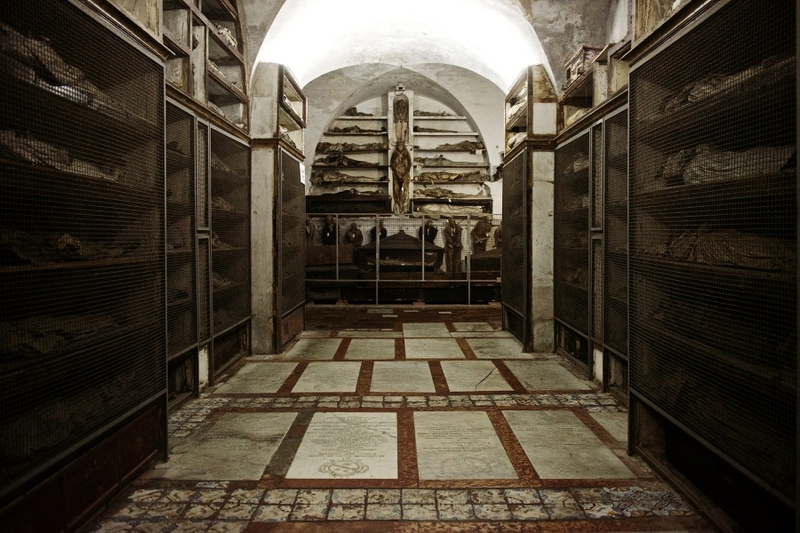 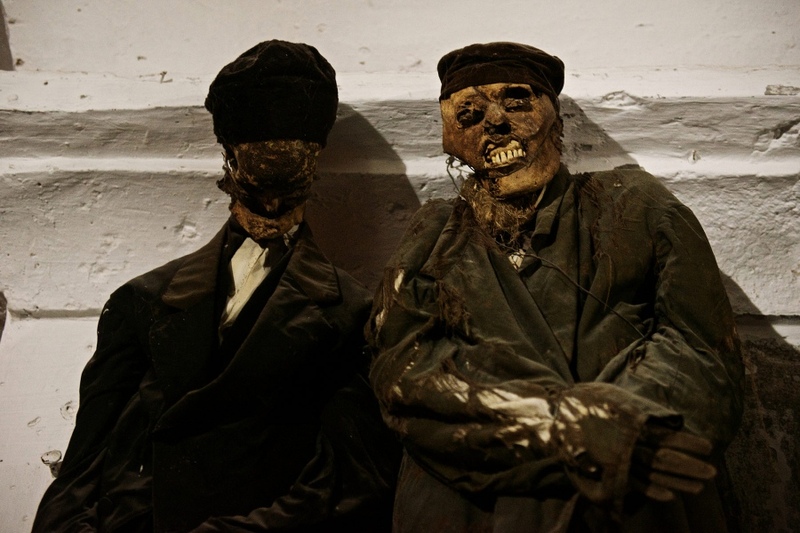 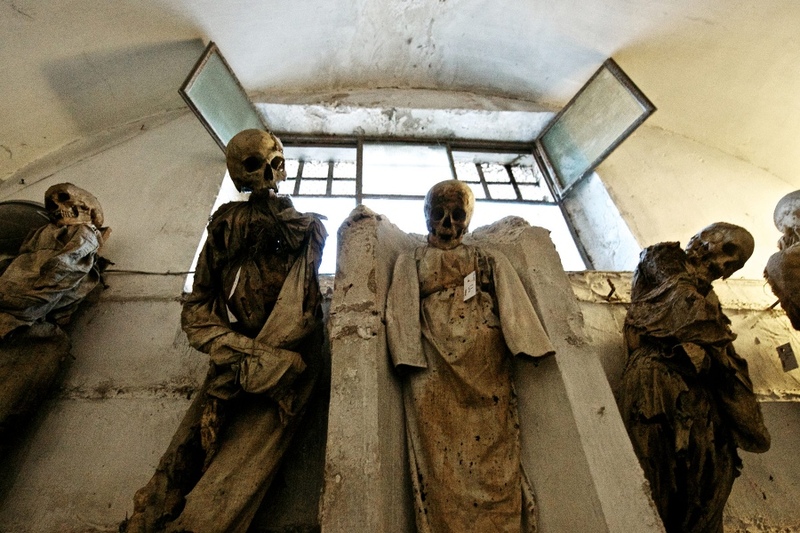 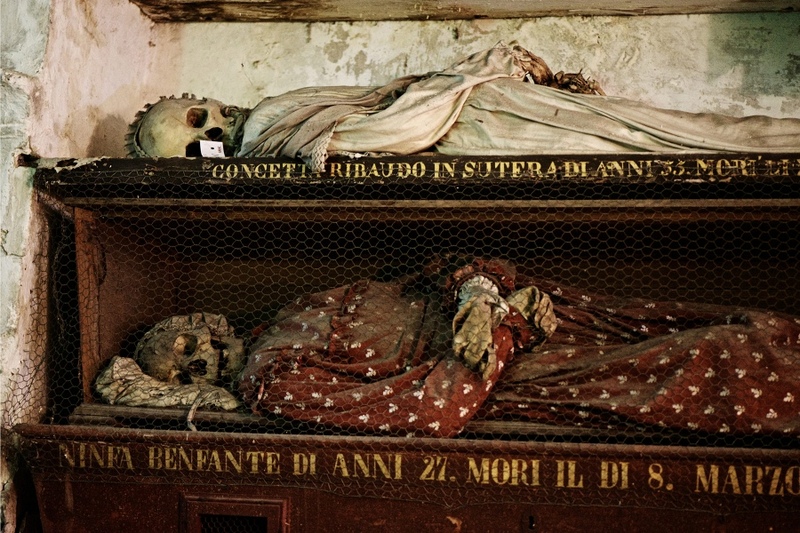 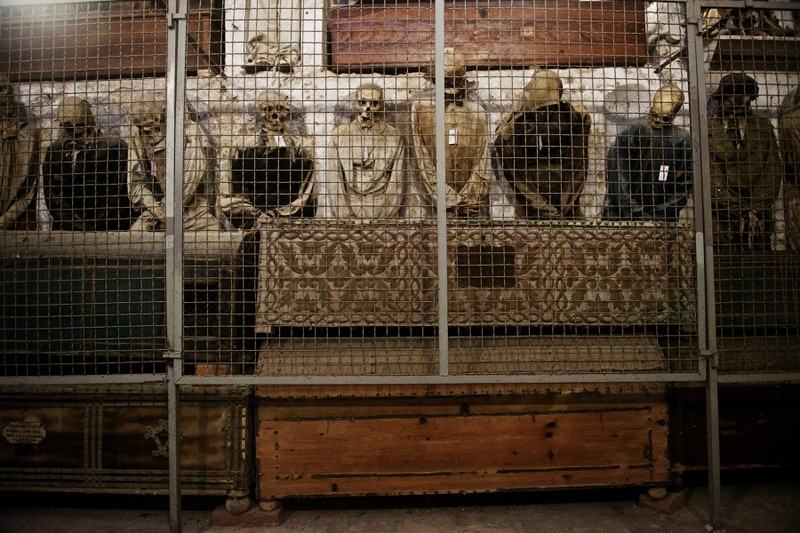 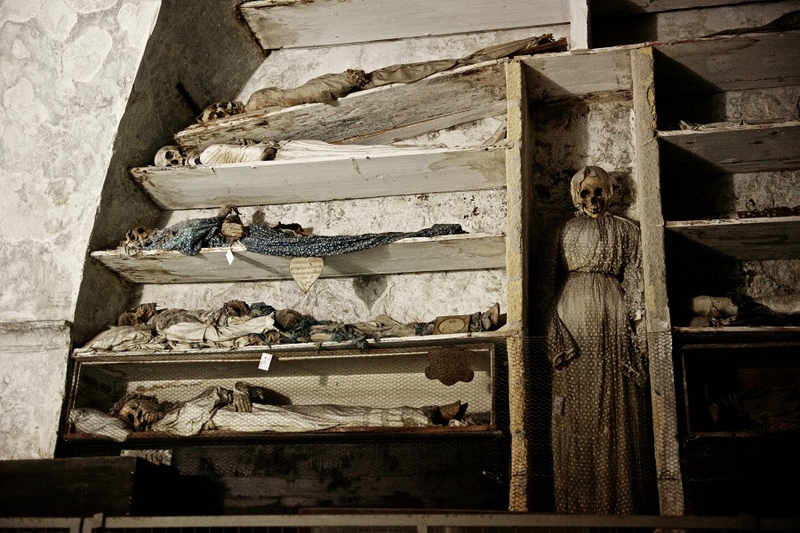 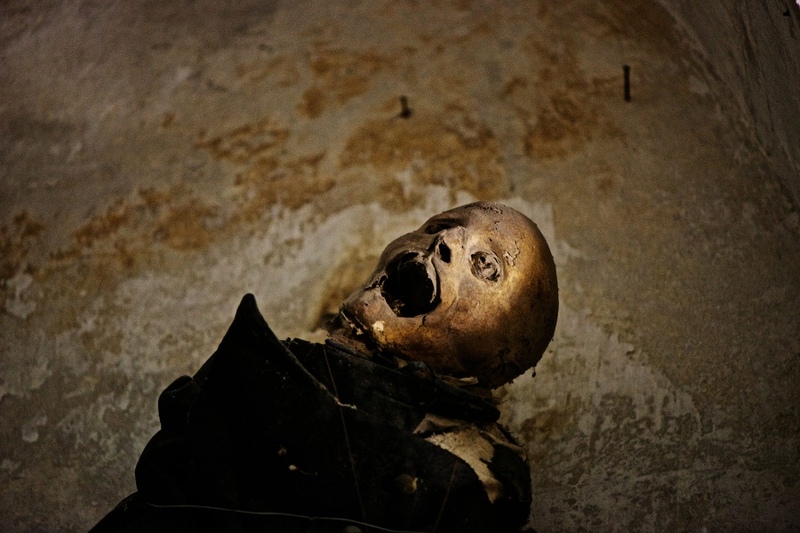 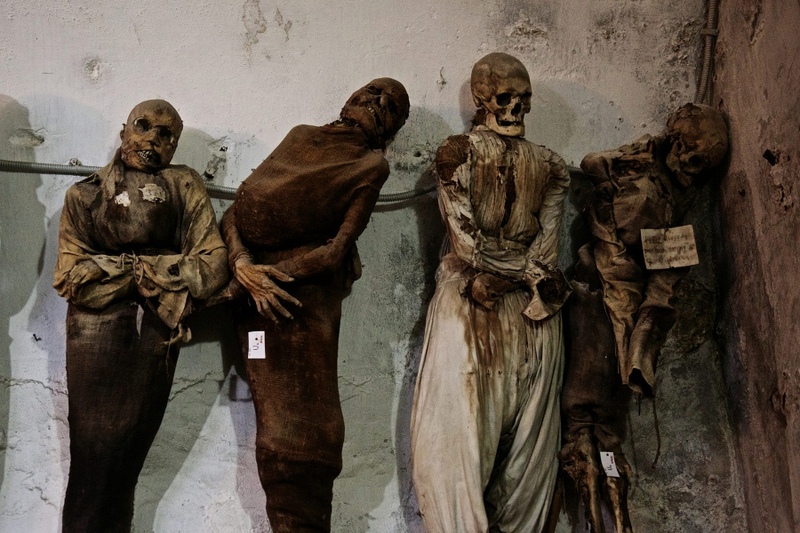 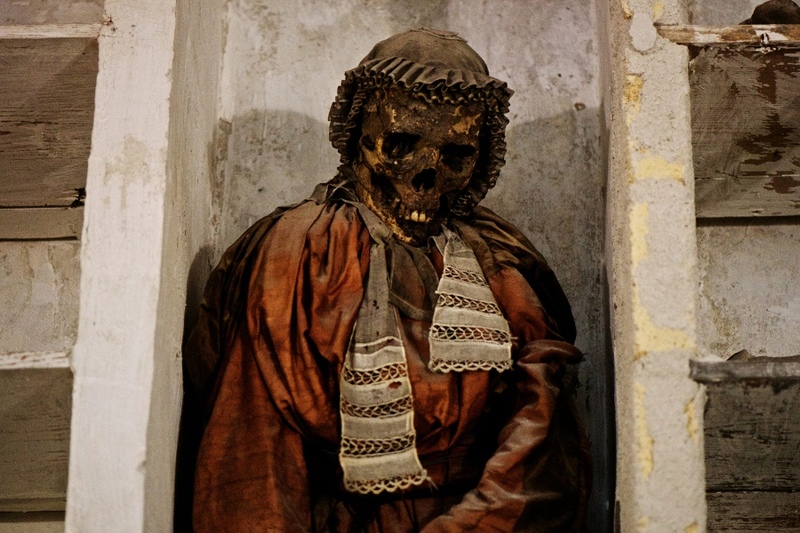 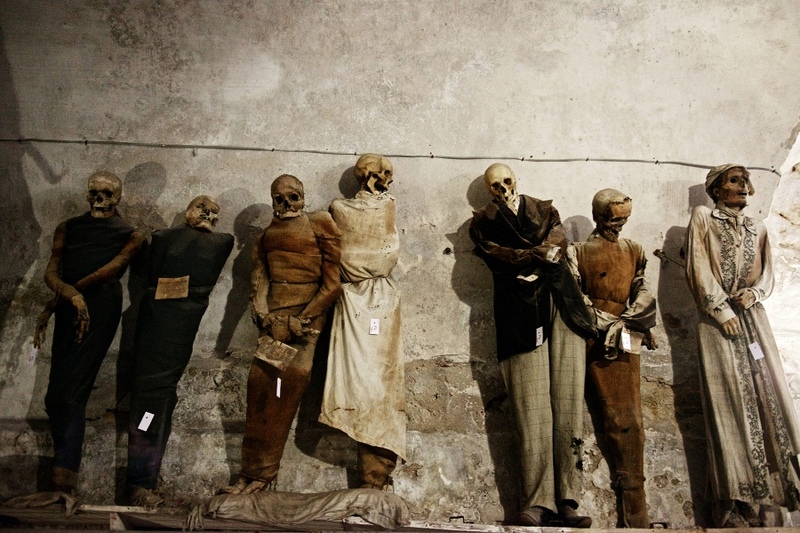 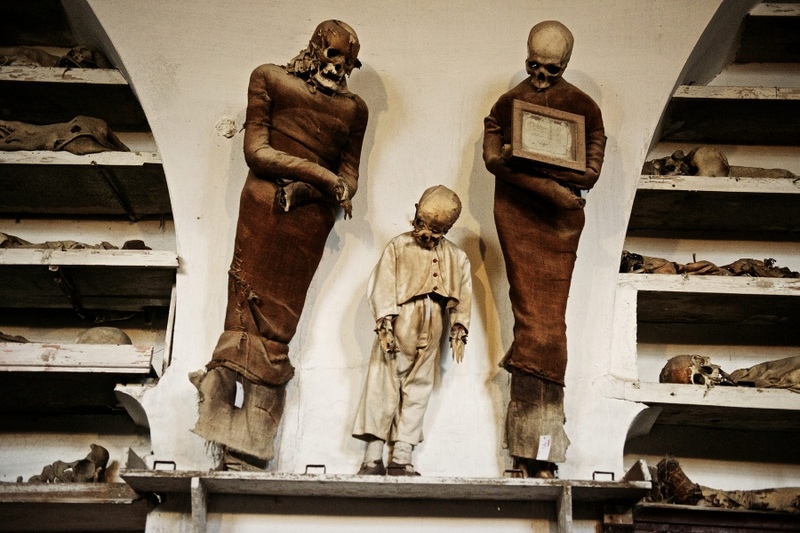 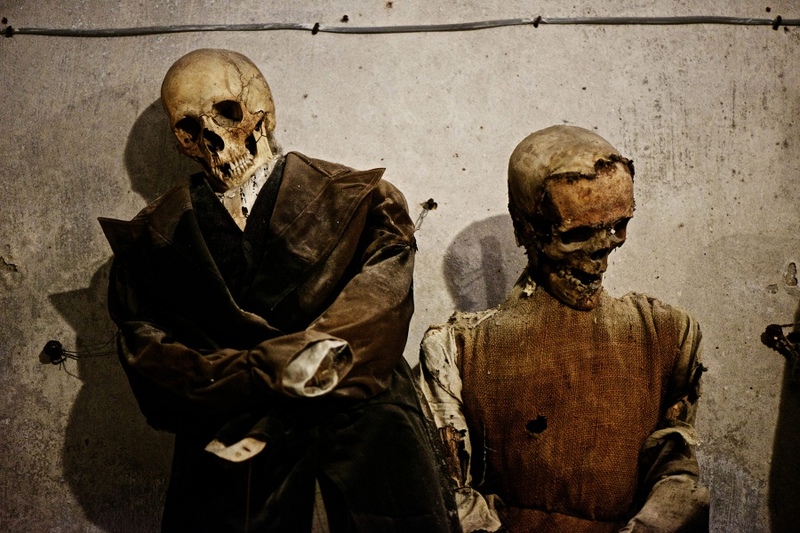 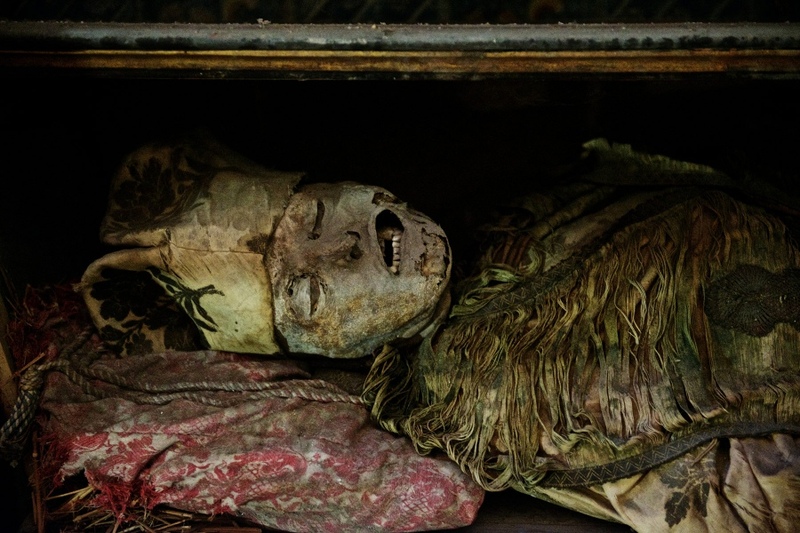 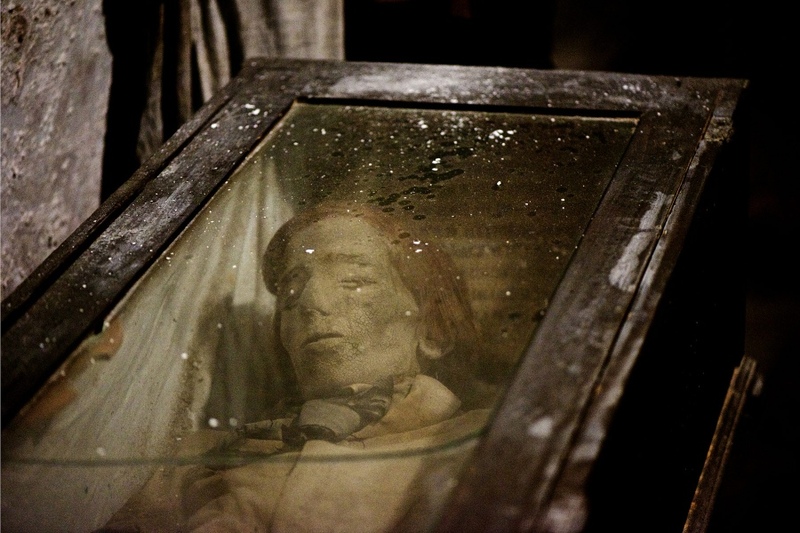 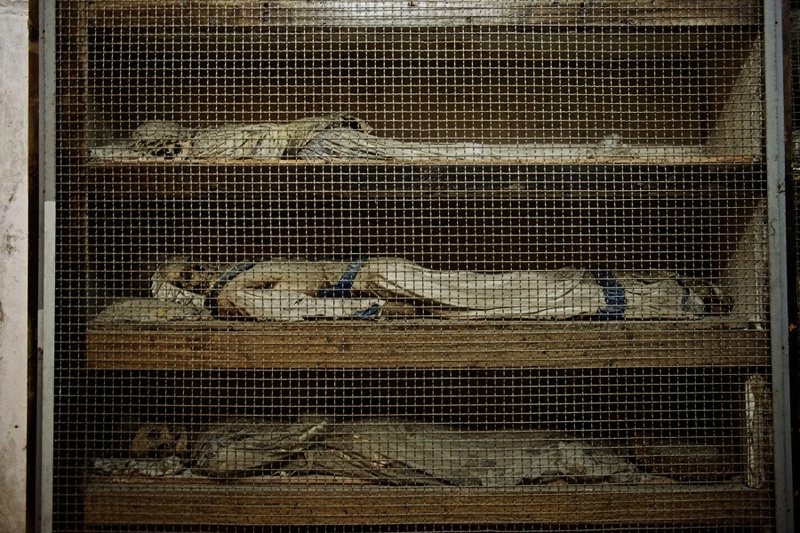 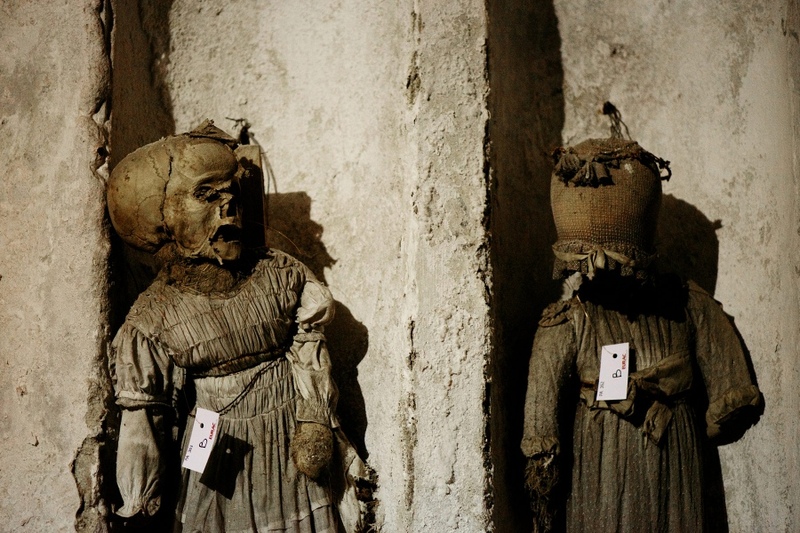 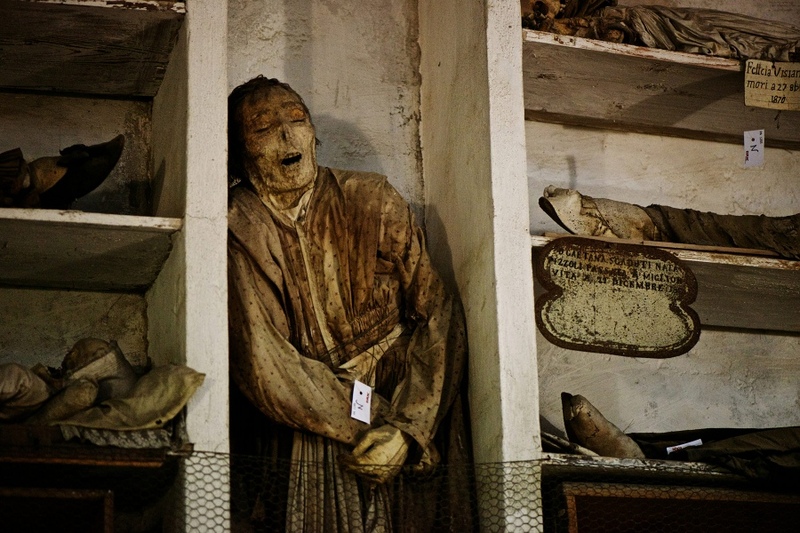 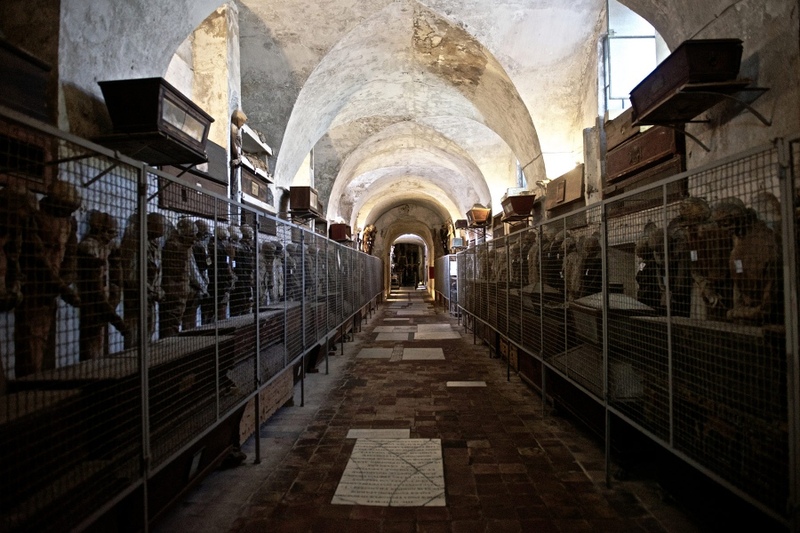 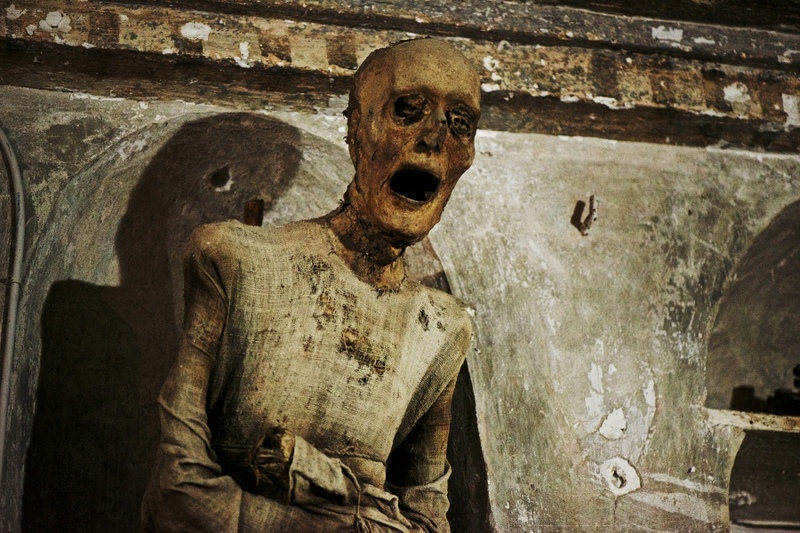 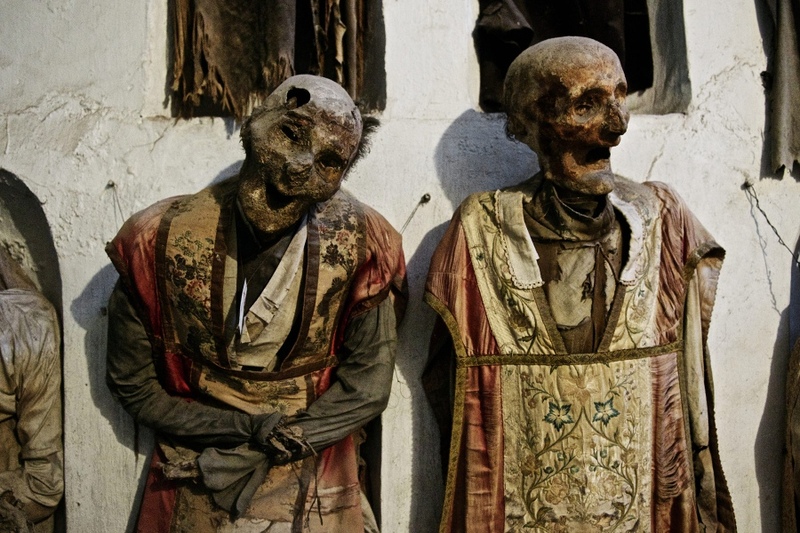 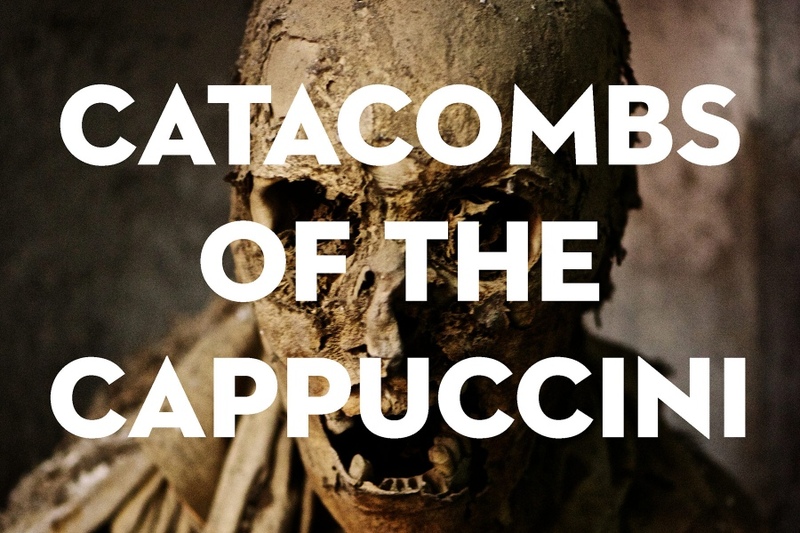 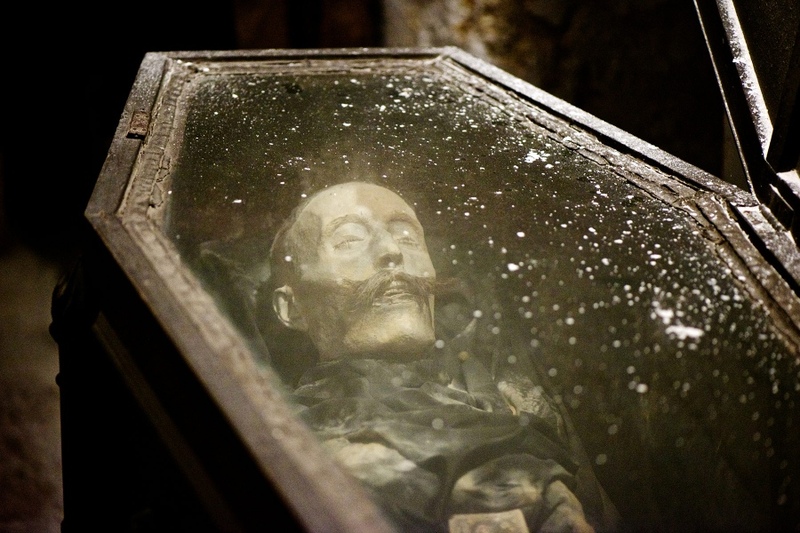 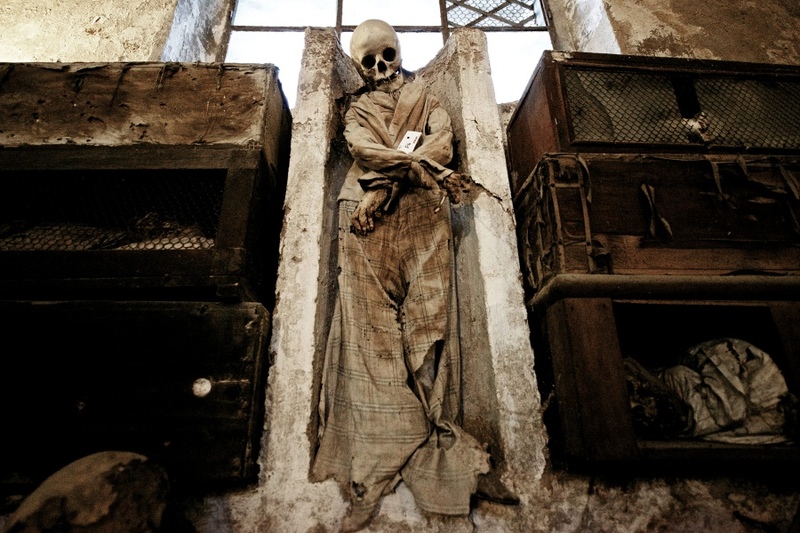 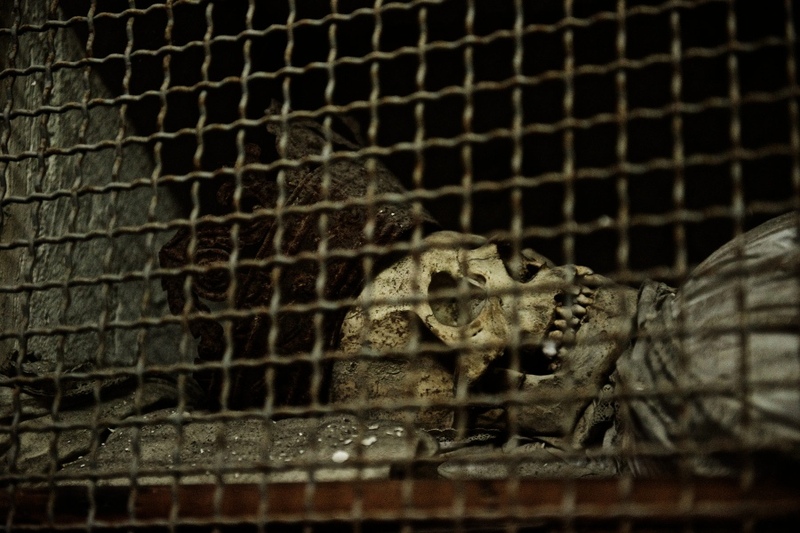 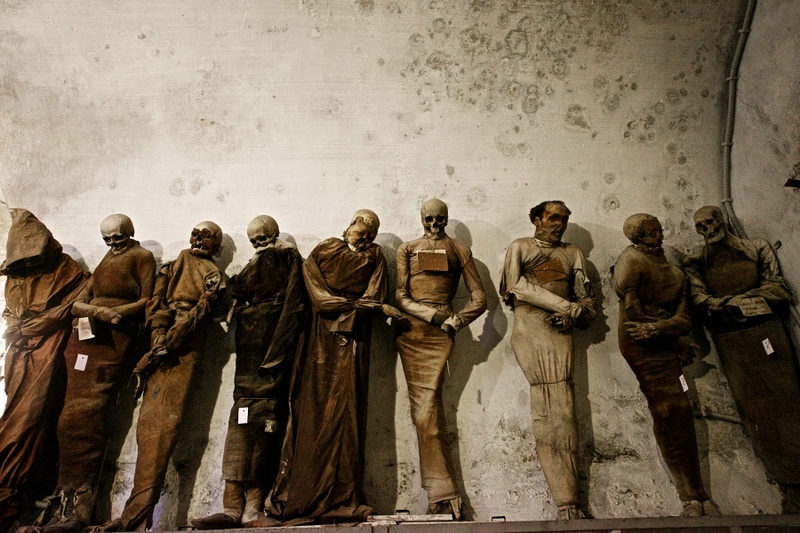 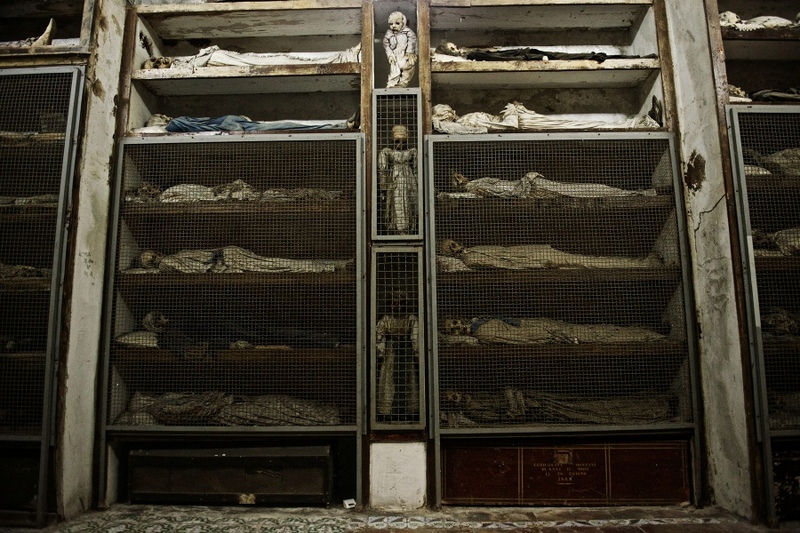 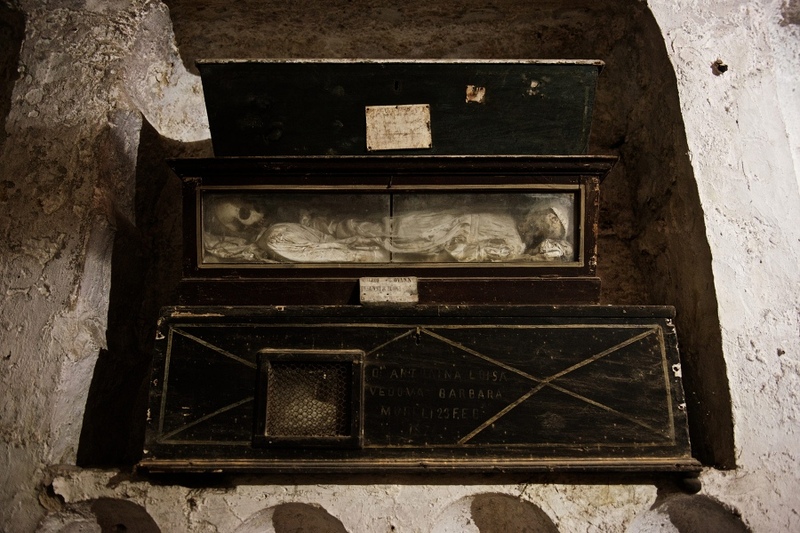 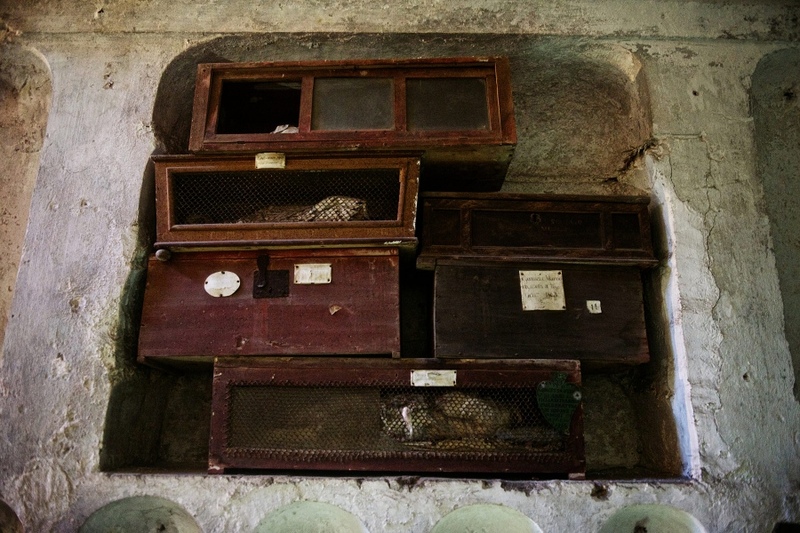 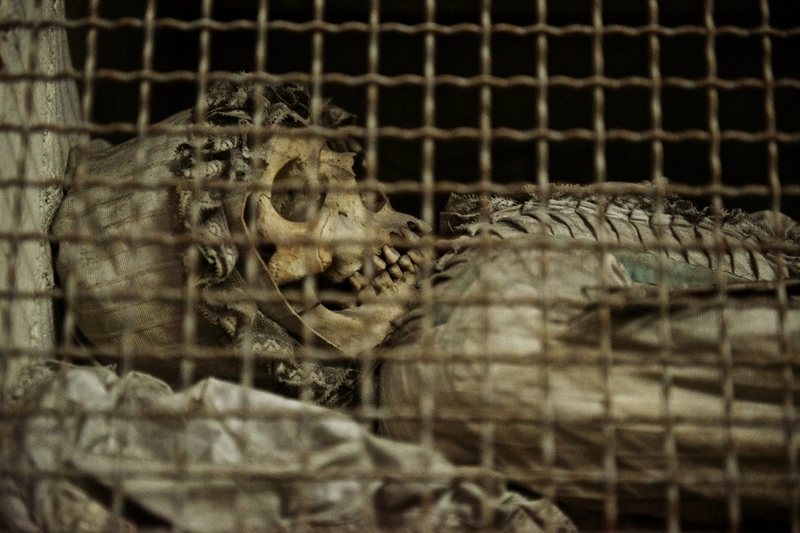 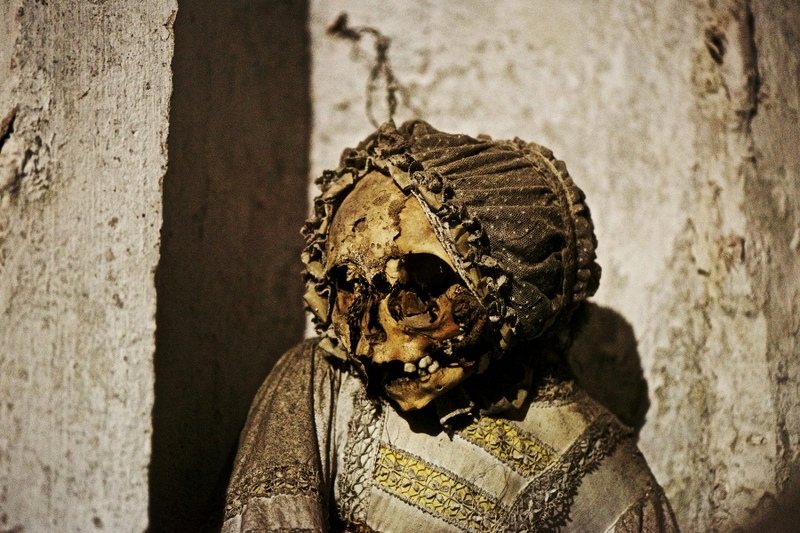 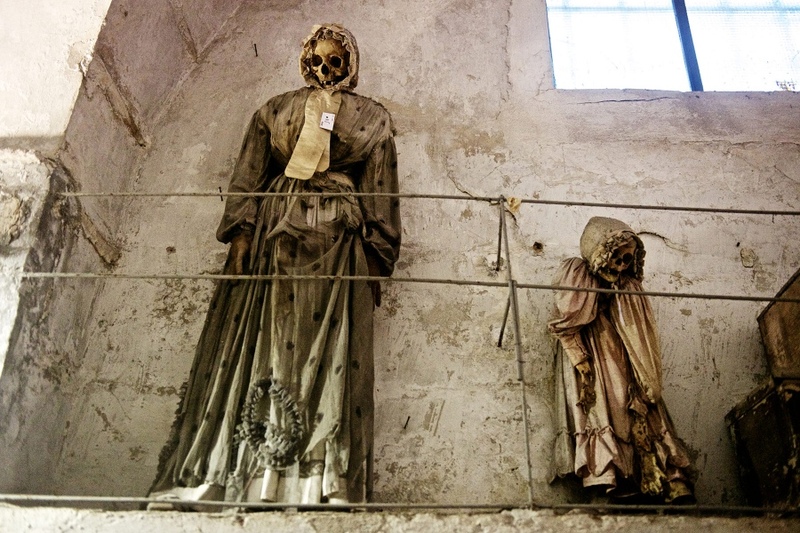 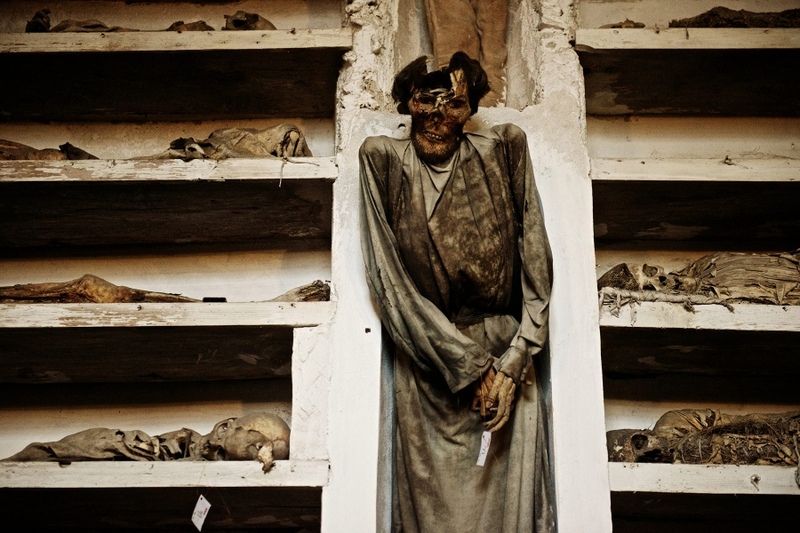 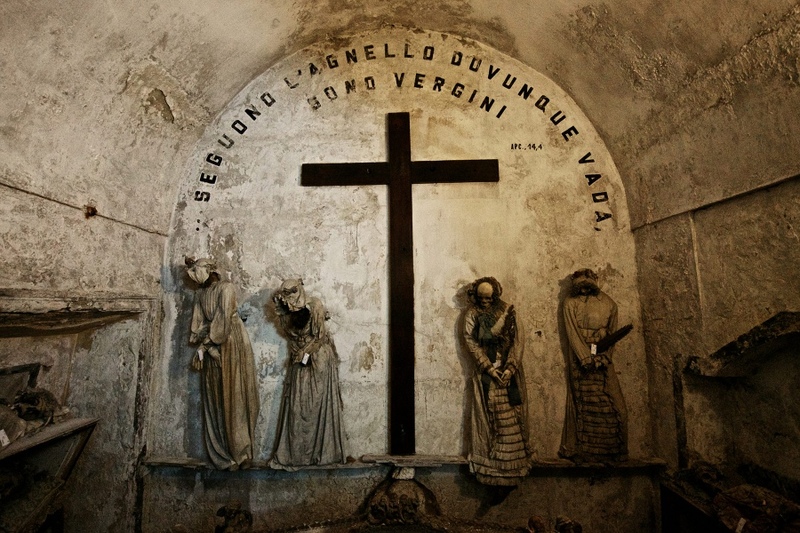 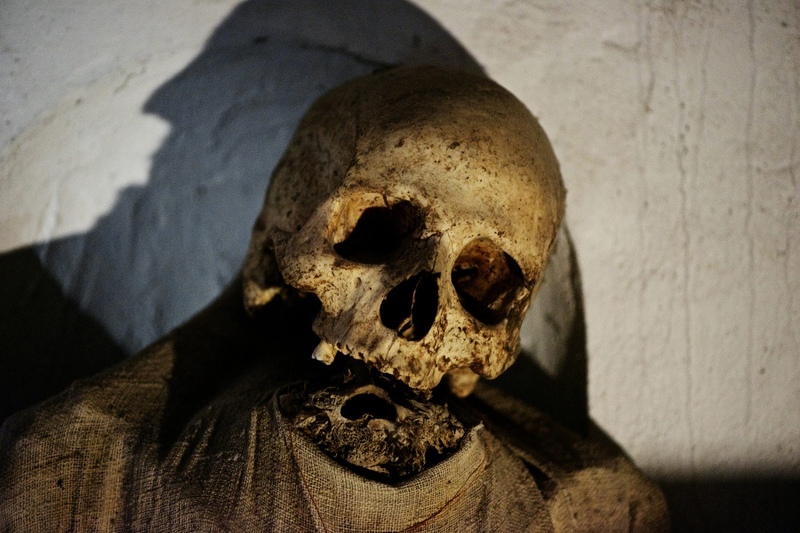 The catacombs are strange, surreal and creepy. 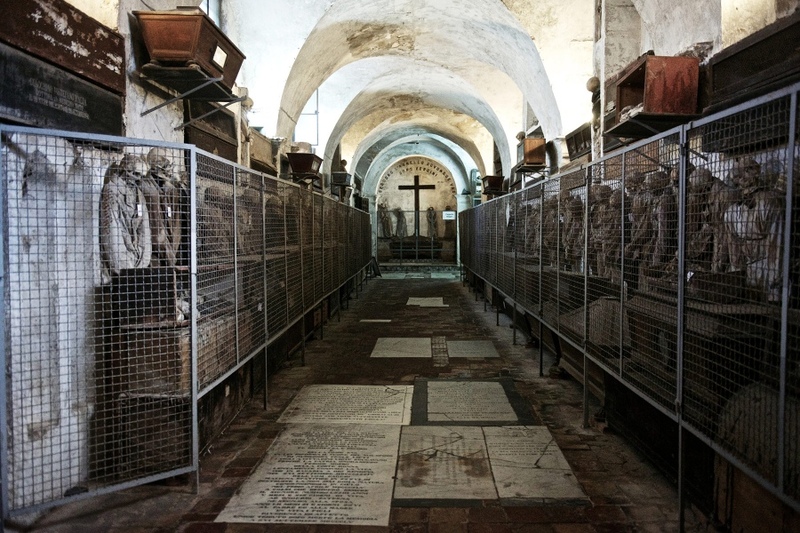 Various corridors were only for virgins, or children, or royalty. 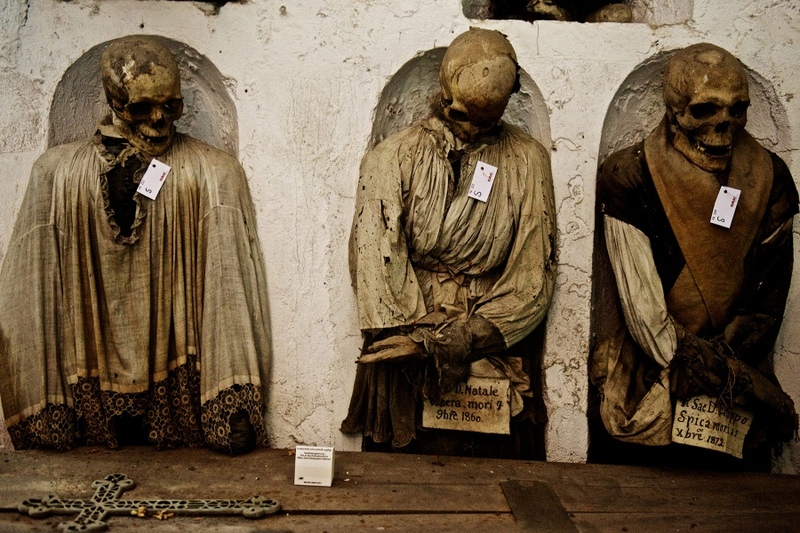 8000 skeletons and a creaking door. 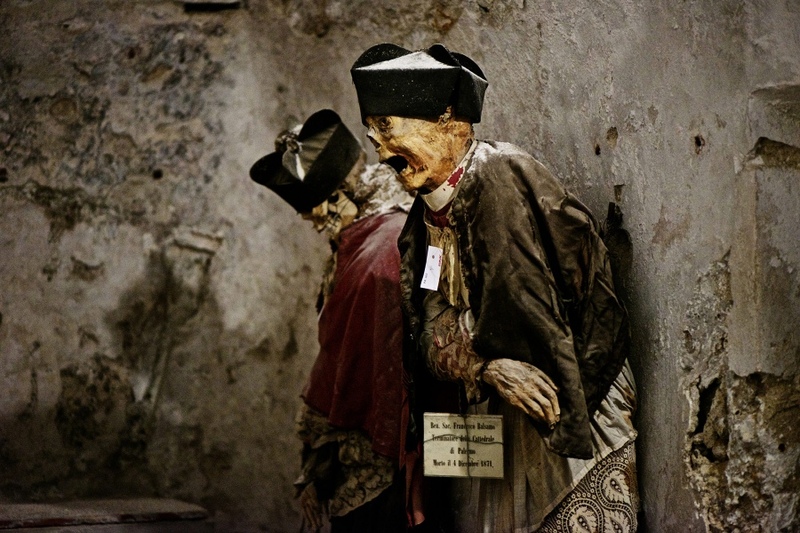 Photographed October 2012, in Palermo, Italy.